Fifteen years old this year, I think you'd agree she doesn't look it. 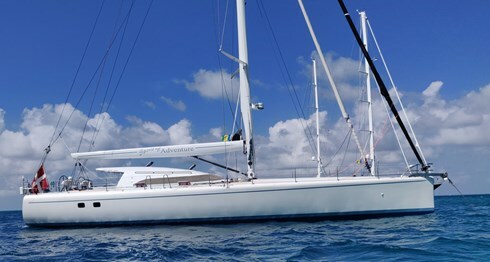 Spirit of Adventure, our custom blue water cruising yacht at anchor in the Carribean under her new Danish flag. Designed by Owen Clarke and bult at Marten Yachts for the experienced circumnavigator Peter Trost, a lovely man with great vision.